From down jackets to swimwear, what a change! Taking time for reflection doesn’t always come easy to us. We habitually move quickly from one season to another adventure, adjusting rapidly to changes we define. 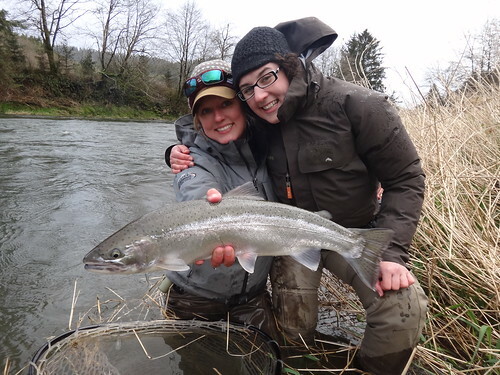 From leaving fat fall rainbows to blasting shotguns in duck blinds, or more recently, steelhead fishing in the cold rivers of the Pacific Northwest to chasing roosterfish along sunny warm beaches in Baja. 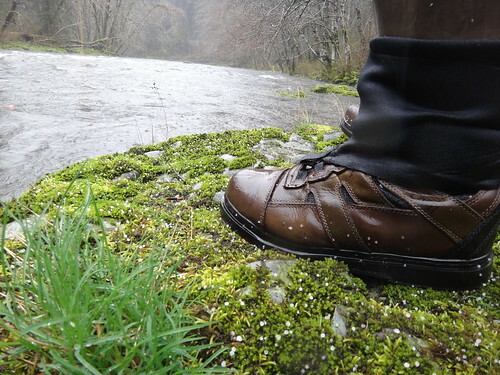 Somehow, very slowly, we piece together the fabric we wove in past months. Cruising down the beach, I might lean forward clutching my fly rod and yell over the noise of the ATV, “remember that fish you got while the waterfall hung stationary on the cliff before us, frozen in time? 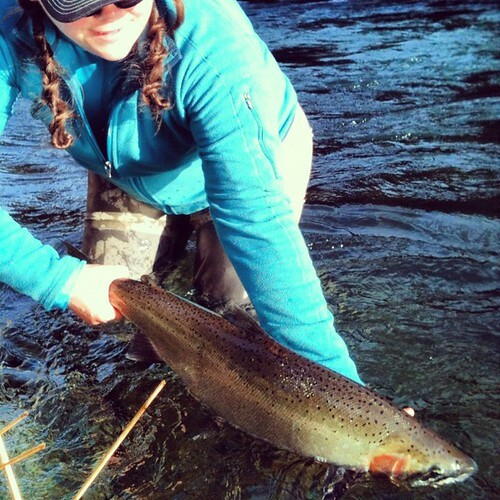 My fingers froze tailing that one…so beautiful.” or “I can’t believe she landed that fish after all the odds seemed stacked against us…” And so on, until our new experiences rush in like rain in the desert, filling every dry spot and turning it all green. 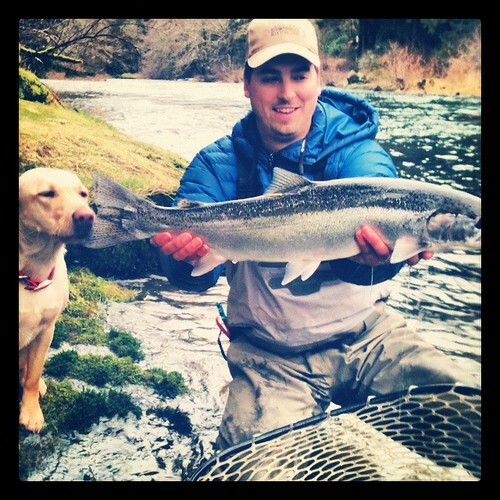 Justin’s first steelhead on the Centerpin set up. 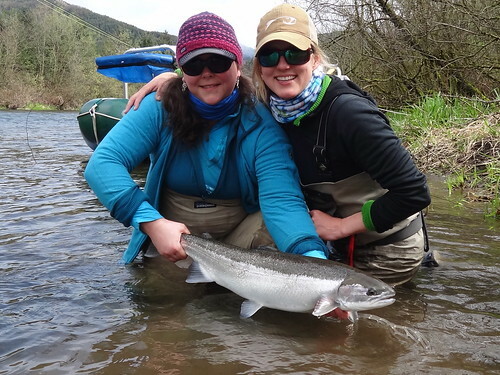 My bestie and I with a beautiful steelhead she brought through the rapids and landed. The landowner came running down and asked to take our photo! 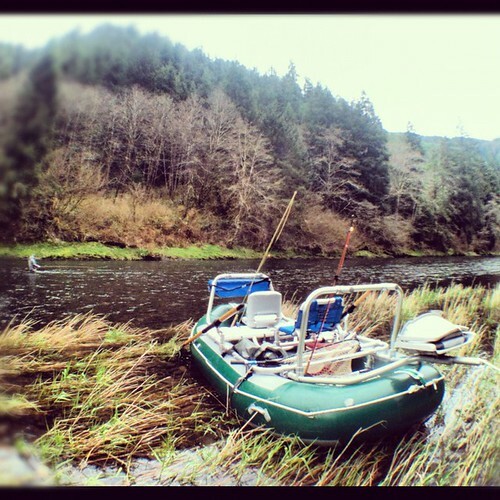 k8 got a new raft! The Cap’n lands a beauty. The Cap’n lands dinner! 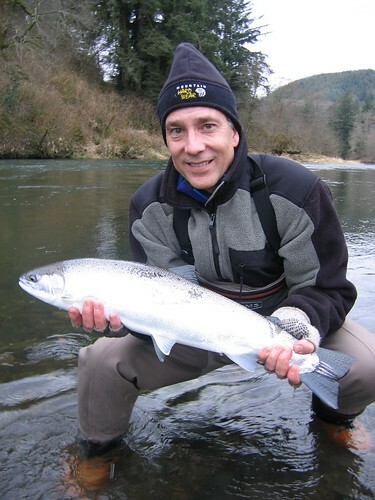 A chrome hatchery hen. 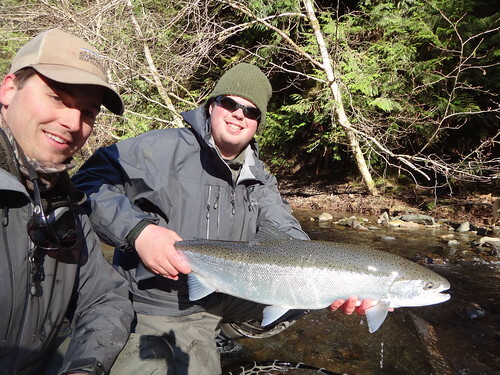 The shiny side of a chrome steelhead. 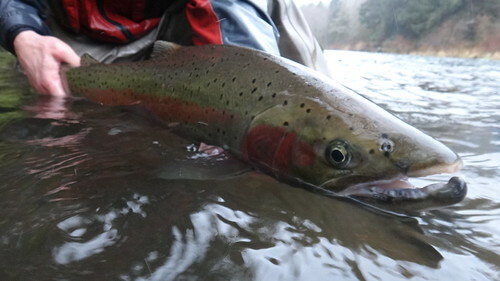 Tail end of a Steelhead. 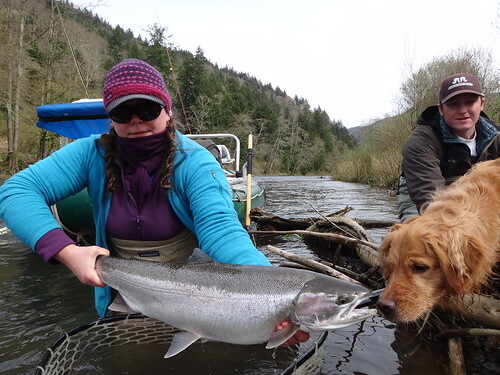 Fausti and her dog, Riffle, with a big hatchery hen. 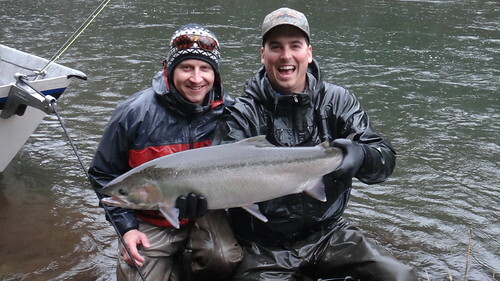 Mr.Chris thinks this steelheading stuff is easy. 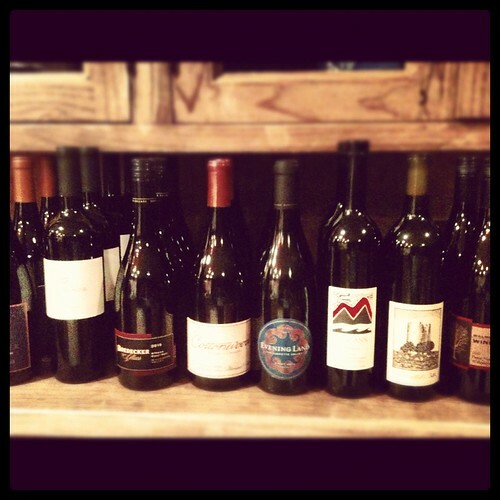 Fine Oregon wines pair nicely with fine Oregon Steelhead. 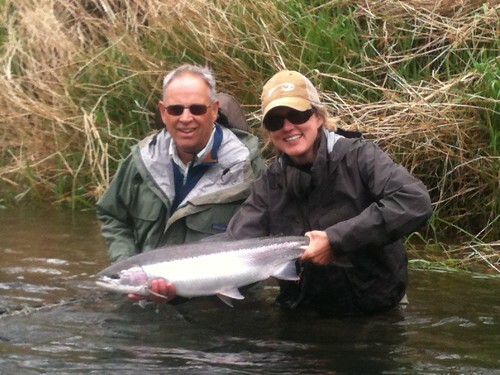 Speaking of wine, my old roommate and sommelier, Katherine, caught some Steelhead too. 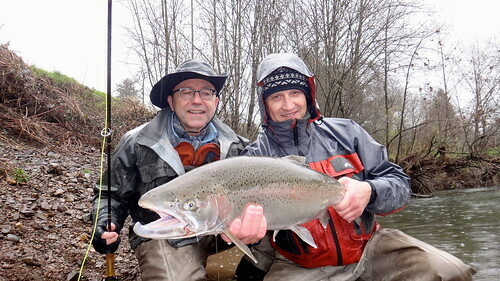 Stefan, of Switzerland, released his fair share of Steelhead this season. Silvan and Stefan with yet another beauty. 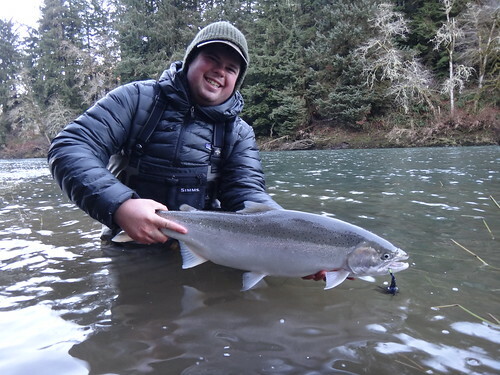 Nate with a pig of a steelhead. This was obviously a very exciting fish! Terry of Virginia holds up a colorful buck. J.O. 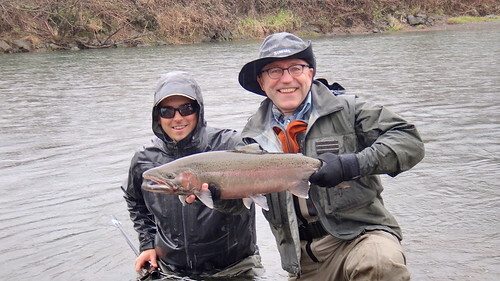 believes the first steelhead of the day is always a great one! Mr. Chris with a chromer he landed after a wicked fight. 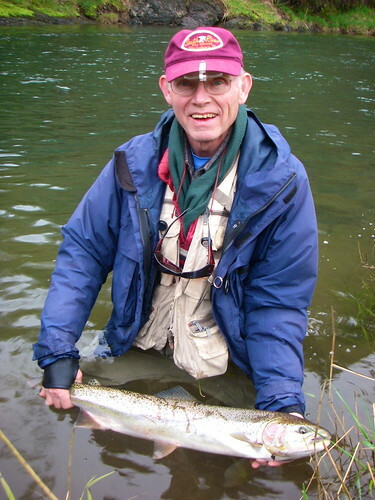 Harold from Virginia managed to find a fish or two. 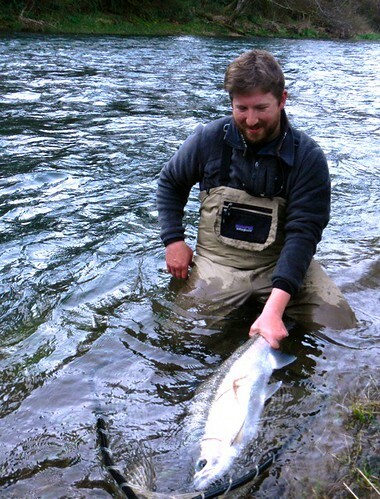 Our friend and fellow guide in Alaska, Andy Simon, swung up a translucent chromer. Sometimes we get all the weather in one day, even hail. 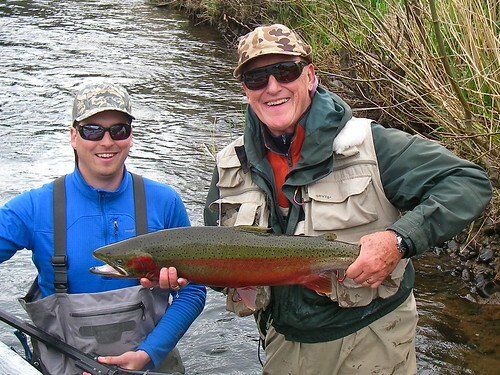 Andy with another great fish. 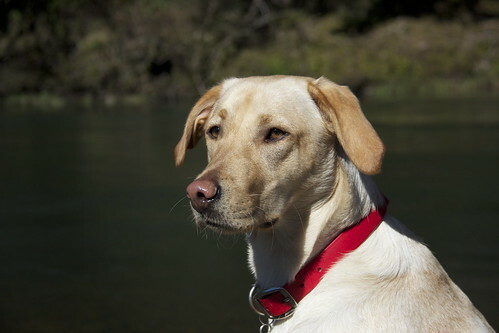 One of the best river dogs, our pup Kada. 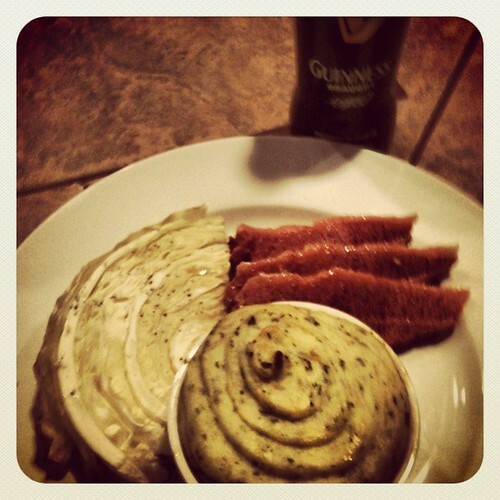 A traditional yet gourmet St.Patrick’s Day dinner courtesy of our friend, Daniel. 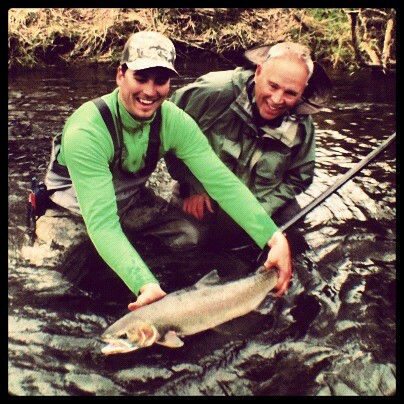 Kris “clutch player” Fausti, with yet another beautiful fish she landed this season. 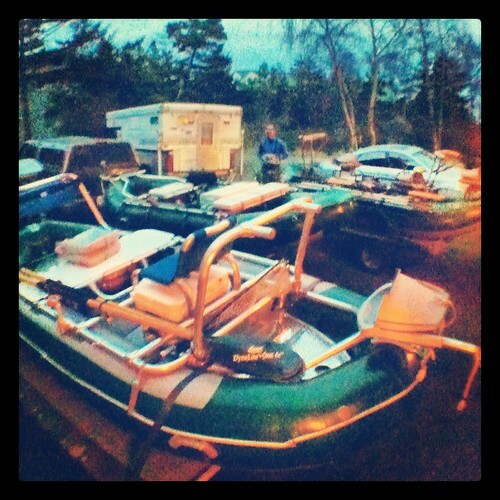 3 green rafts ready to roll! 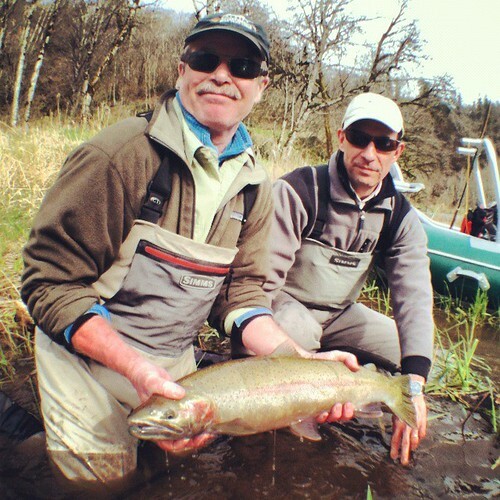 Jim hooked into some bright chrome Steelhead this year. 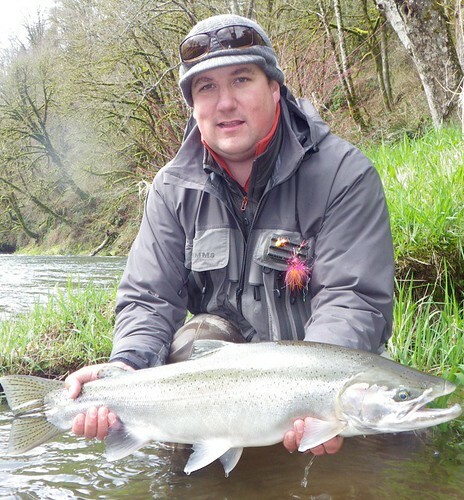 Pete with an oversized wild steelhead hen measuring 34″x19″. Justin and Kada with a tagged fish we named “Ford”.